It’s an exciting achievement for Microsoft but it’s also not surprising, for two reasons. First, the Power BI team at Microsoft has been uncompromisingly committed to an agile model developing in short sprints and translating feedback from the 200,000+ member Power BI community into new feature sets. Second, their value proposition to companies is simple and scalable: provide high-value self-service analytics to anyone who knows how to use Excel. Power BI Desktop is free, and can be easily scaled to an enterprise BI solution for a low monthly cost. 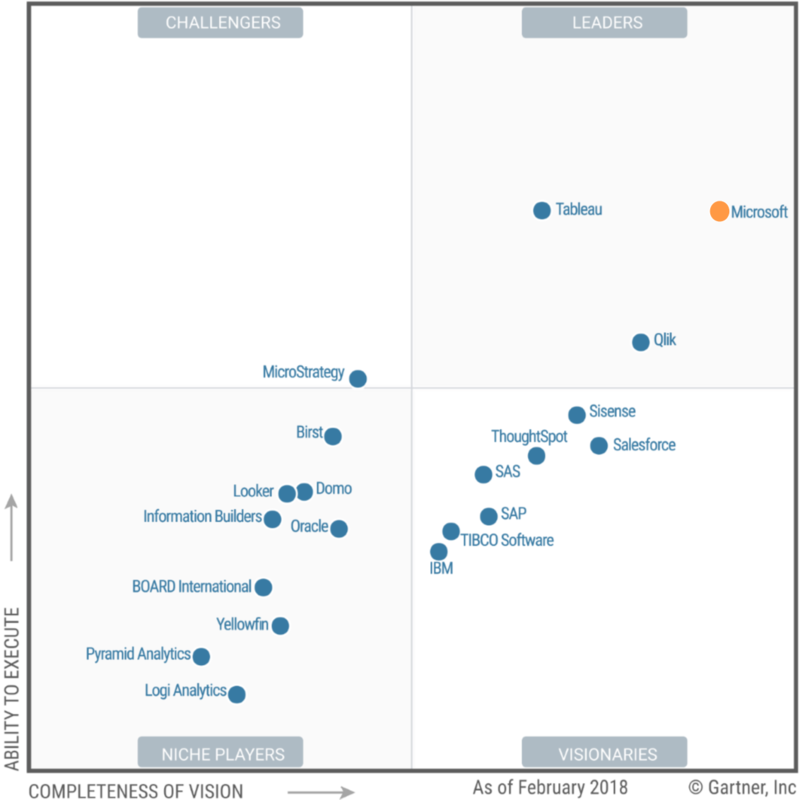 Read what Microsoft has to say about their quadrant ranking, or read the full report from Gartner – straight from the horse’s mouth. If you’re interested to hear how Power BI and the Microsoft BI Stack can lead to organizational transformation, drop us a line.